In years past, dig points were much a matter of educated guesswork. Now, with sewer video cameras and locating equipment, it is a simple matter of calling a sewer video inspection and locating the block. This is a process where you call in a plumbing company or a specialist to run a video line through your waste pipes. The video might extend down your branch lines (the pipes that lead from bathtubs and faucets to the house's sewer line) or down the house's sewer line (the larger pipe that leads from the house to the municipal sewer line on the street). At the end of the line is a camera that lets you see the line in close-up and real-time detail. While this would not be a frequent occurrence, but you might need a video inspection if you plan to add a bathroom or remodel your kitchen or a bathroom. Due to the greater quantities of wastewater involved, you may want to inspect your sewer line to make sure that it can handle the increased needs. Yes, but it is more cost effective to hire a company. Homeowner-level video inspection scopes are far too short to inspect more than the first few feet. Not only that, these scopes probably are not auto-focusing or self-righting. It is possible to rent drain inspection cameras from local rental yards. For one day usage, it would be more worth your time and money to hire a company instead. If you need the camera for a full week, reduced weekly rental fees will make this cost-effective. Inspection costs greatly vary, from $99 to $300. Cheaper video line inspections may produce lower-quality images due to older equipment. These offers also may be tied to purchases of more expensive services, for example, you may be required to purchase drain augering in return for the inexpensive video inspection. Rental yards will rent you a video pipe camera with 200 feet of the line per day. While this is slightly cheaper than the what the more expensive companies will charge, the learning curve will substantially eat into your rental time. 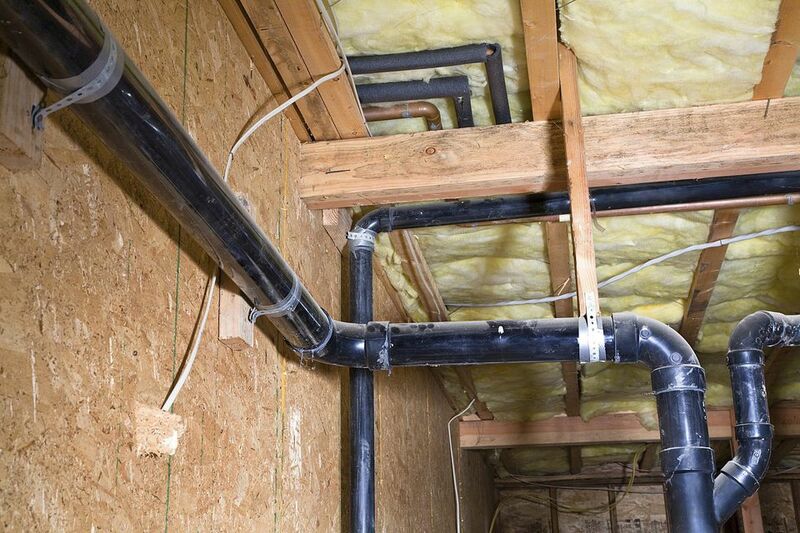 If you are doing an entire sewer line video inspection, you will see a "walk-through," leading from the trap, down through the sewer line, and up to any obstructions. If the camera can push through the blockage, it may continue through to the municipal line. Do not expect a Hollywood movie. While the resolution is high, the picture will be jerky because the scope has to be manually pushed down the line.